Every tissue, tendon and organ in your body is made up of one of nature’s very own building blocks - collagen. Collagen is strong and elastic, and its physical properties often determine the tissue’s performance. Medical materials such as replacement heart valves and medical scaffolds are made from natural, collagen-rich tissues. A Research Program Manager in Human Health at ANSTO, Katie’s research investigates the nanostructure and mechanical properties of collagen using advanced imaging techniques and synchrotron-based small angle X-ray scattering (SAXS). Importantly, her research bridges the gap between synchrotron science and real-world outcomes. For instance, by understanding the hierarchical structure of collagen it is possible to create stronger medical materials and optimise patient outcomes. Katie holds a PhD in Engineering and a Bachelor of Chemical Engineering and Nanotechnology, both from Massey University. She is the recipient of multiple awards, including the Young Scientist Medal at the European Advanced Materials Congress (2018). 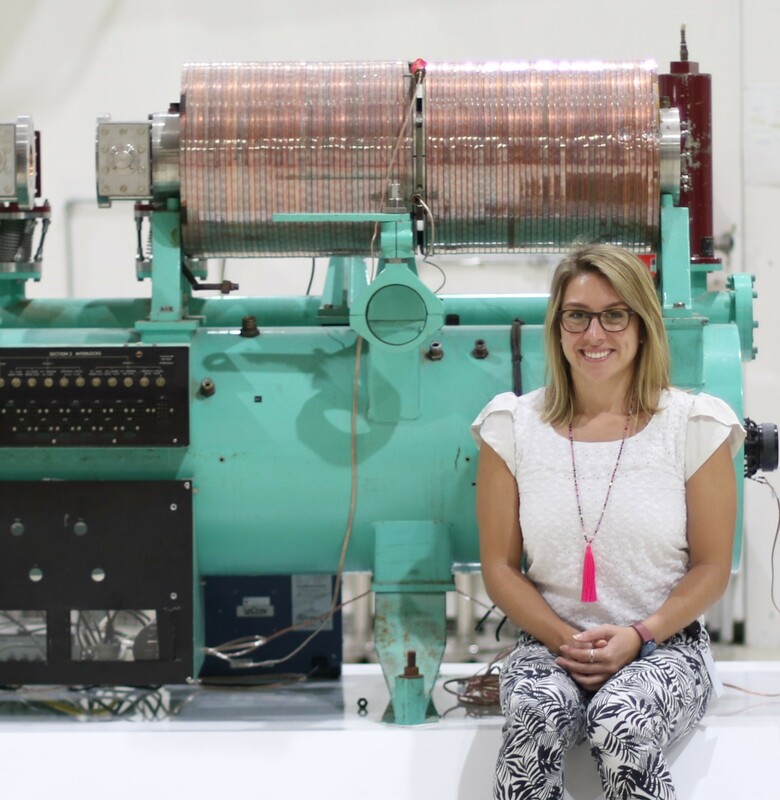 She received the top prize at the Australian Synchrotron User Meeting for Postgraduates (2015) and has been awarded a place on Homeward Bound, a global leadership program for women in STEM (2019). Katie hopes to inspire the next generation of women in STEM and is passionate about science outreach and communication.